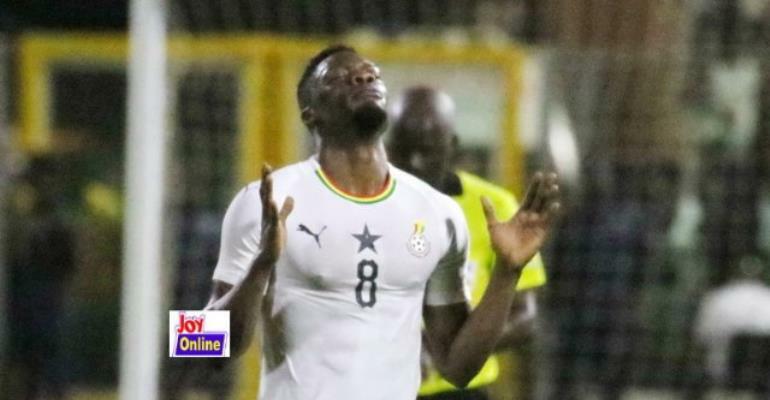 Caleb Ekuban marked his debut with a goal as Ghana laboured to a 1-0 victory over Kenya on the final day of the 2019 Africa Cup of Nations qualifier. The Trabzonspor striker's goal proved crucial as Black Stars finish the series as group winners, two points above the Harambee Stars, who had already qualified before the match. Black Stars had a good opportunity to break the deadlock in the 24th minute but Partey, after goalkeeper Patrick Matasi failed to collect Christian Atsu's teasing cross, swept his close-range shot across the face of goal, with the net wide open. In the 36th minute, Andre Ayew scored from a rebound after the goalkeeper saved the first effort but the goal was ruled out as the Fenerbahce man was adjudged by the referee to have fouled the shot-stopper before putting the ball at the back of the net. On the stroke of half-time, Agbenyenu hit a shot across the face of goal but Ayew failed to connect from three yards. Shortly, centre-back John Boye saw his header from a corner bobble just wide. As keenly contested as the second half was, there were no clear-cut chances for either side until the 82nd minute when debutant Caleb Ekuban broke the deadlock. After being played through on goal, the substitute and Italian-born striker hit a first-time left-footed shot from just inside the box, the effort proving too strong for goalkeeper Matasi as the Black Stars secured a hard-fought 1-0 win in Accra.